Wala pa atang thread about this..
Re: Fender Parallel Universe "Meteora"
kita ko yung video with the deisgner...well..its not really that "cutting edge" as he claims to be... ill Pass.. I like it! looks refreshing to me. 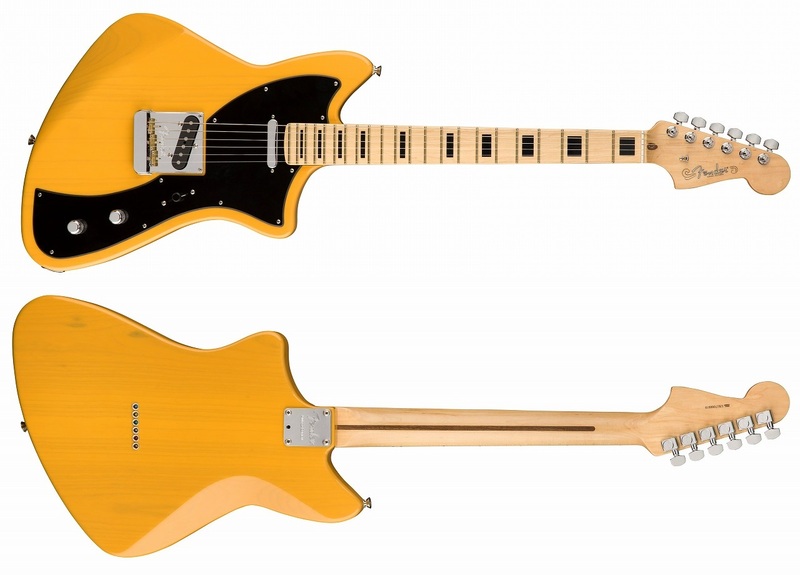 would've been better if they had also introduced a new headstock shape. but that's just me though. How cutting edge could you be with a guitar sa totoo lang? +100. What would be cutting edge is Fender creating a new instrument altogether --- the electric bass is a testament to this. To my mind and my ears, the guitar as it currently stands has already been exhausted both from a musical and auditory (i.e. tonal) standpoint. Time for Fender to design new instruments that will allow guitarists to use their current mechanical proficiency in the guitar (to allow easy transition; again see transition of upright players to electric bass) on a new instrument. To be honest I think synths are the only logical progression, and magkakatalo na lang sa control surfaces that people prefer. I mean, modular/eurorack is seeing widespread popularity at the moment. Doepfer makes ribbon controllers that could be played like a fretless if you find something to mount it on like Wintergartan did. Guitar is antiquated and has its limits, and that's not a bad thing. I just find it weird na people complain na nothing new ever happens but also get spooked if their archetypes are broken away from. Been looking at this for a while and I hope they put a Jazzmaster pickup in that neck position, and use a 2V2T setup like Les Pauls. Another option is to use the Micawber Tele pickup scheme (Tele B + PAF N). It just makes it more functional. If they can also come up with a vibrato system that looks like a long tail Maestro vibrato on Gibsons, I think it would complete the look. Page created in 1.915 seconds with 24 queries.